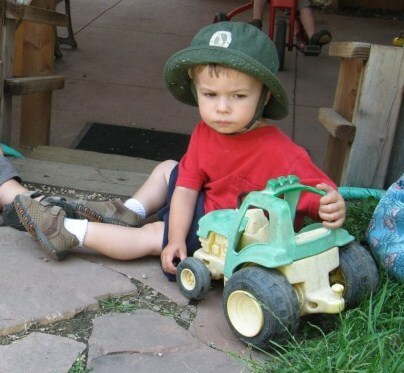 Help with Power Struggles - Joyful Toddlers! Hi Miss Faith, My son is 2 and I feel like we are in a constant power struggle. I know it’s somewhat normal but I hate this, and feel bad about it. I feel like I’m constantly giving him choices but if feels manipulative. For instance, if we’re walking home from the store and he decides to lay down in the path, I’ll give him a minute to rest (though it’s not from tiredness) and then say “okay, time to walk home.” He’ll often just lay there, so I’ll say “okay, you can choose to walk, or get carried.” If he doesn’t choose, I’ll say, “if you don’t want to choose, I’ll choose for you” (I try to say it in a kind way, not a threatening way). I’ve even been using your technique of saying “it looks like you need help choosing,” or if he gets upset that I’m carrying him and says he wants to walk I usually give him one chance to walk and if it doesn’t work I’ll say “okay, I’m going to make the choice now – I’ll carry you.” I will tell him his time for choosing is over and he can choose again next time. However, even with these words (which are very helpful) it still feels like a constant power struggle – this type of thing happens all day long. I know he is figuring out his place in the world and our family, and I want to encourage this. I’m wondering how you deal with particularly stubborn toddlers. You have so many wonderful ideas for how to talk with kids so I was hoping you could elaborate on how you would handle a situation, like the one above, with child that was just not cooperating? It sounds like what your son is asking for is play. Instead of giving him a choice, give him some imagination. So, say he lies down in the path. Instead of just waiting and then announcing it’s time to go, say, “Oh, you must be SO TIRED. Poor little boy. You just sleep there in the path.” Kneel down and start stroking his back and singing a lullaby. He might jump up and run away, in which case you act surprised, “Hey, you’re not sleeping! You’re running!” and catch up to him. Or he might close his eyes and pretend to be asleep. Stroke him and sing your lullaby for a minute, then pause and pretend like the alarm clock is going off: “Ding-a-ling-a-ling!!!! Time to get up!” If he ‘wakes up,’ say, “Did you sleep well? We’re having pancakes for breakfast. Hold out your plate!” Give him a pretend pancake, and the two of you eat together, then it’s time to get in the pretend car, buckle up, and vroom off towards home. You haven’t given him any choices at all, but he’s been happy to go along. But say the alarm clock goes ding-a-ling-a-ling and he squinches his eyes shut. Keep playing. “Oh no, my baby won’t wake up! Little baby…little baby…are you alive??? ?” Shake him gently. He’s keeping his eyes squinched shut and he’s trying not to giggle. You pretend to cry. “Boo-hoo-hoo, my baby’s not alive any more. He won’t wake up. Boo-hoo-hoo.” Pause. “Well, I guess I’ll have to carry my baby home and see if I can find some magic to help him come back to life.” This is the exact equivalent of you saying, “You can choose to walk, or get carried,” but it’s being done in a way that everyone can enjoy. Perhaps you pick him up and then he struggles to get down. If you had given him the choice to walk or be carried, now you’re in a bit of a predicament, because the time for choosing is done, and you get into a bit of a power struggle. But if you did it using imagination, you can be thrilled. “My baby came back to life all on his own! Hooray!! !” Give him a kiss and keep walking home together. It takes practice to get ‘good’ at using imagination to help kids do what you want, but it’s a skill that’s well worth cultivating. If it’s time to go and he runs away, say, “Look at you, Mister Race Car! You’re so FAST! Race over to the sandbox and then we’ll race to the gate together!” (By getting him in motion doing something fun first–racing to the sandbox–it’s easier to turn that motion in the direction that you want–the gate). If he’s not eating his lunch, say, “Look, my spoon is a steam-shovel. Vrrrrr, vrrrrr” and make sound effects as you mechanically steam-shovel food into your mouth. If he doesn’t want to wash his hands, say, “There’s a secret in my hand, and if you can get my hand open, then I’ll tell you.” Put your closed hand under the running water. When he gets your hand open, say, “Here’s the secret,” and whisper in his ear, “I love you.” If he won’t hang up his jacket, say, “Oh no! The floor is burning lava and your jacket’s going to burn up! Quick! Get it onto its hook!” If he resists, run over to him and take his hand and pull him over. “Come on, come on! My feet are burning up. Are yours?” And pull him over to his jacket. If he still won’t pick it up, say, “I can see that your feet are too hot to pick it up. I’ll lift you down to it like I’m a crane.” Then pick him up and hold him down head-first to grab it. I’ve never had a kid resist picking something up if they were lifted upside down like that. Does all of this take a lot more energy than simply giving him choices and picking him up and carrying him? Well, yes and no. It’s harder in that it doesn’t come naturally to most of us, and it’s harder because we’re not used to it, and it’s immensely harder if we’re tired. But it’s easier in that you’re not getting into power struggles with your kid all day long. It’s easier because it’s fun. It’s easier because it’s you and your son working together, instead of being at odds. When you get practiced at using imagination in this way, your son can stop opposing you and just float through the day, because even when he tries to oppose you, it turns out that it was all part of the game anyhow. It’s more enjoyable for him, and it’s more enjoyable for you as well. Anyhow, give it a try, and see how it goes. If you need ideas for specific situations, drop me a line and I’ll see if I can’t come up with some for you to try. Thank you, Miss Faith! I needed these words today. Oh wow this post was perfect timing for me. My two-year old is doing the same things and I have been giving him choices, threatening time out, all of which he just ignores as if he didn’t hear me. Then he just starts being contrary and demands one thing over and over until I acquiesce then suddenly that’s not what he wants but in fact the opposite. I think this “play” idea is exactly what he needs from me and I’m excited to try it! Thank you so much! That’s great! Let us know how it goes! Kaetlyn, Thanks for writing, and I’m so glad! Anyway, I’m going to start trying more of this. Thank you! Thank you so much!! I’ve been feeling really stuck and sad about how I am mothering my 3.5 yo daughter. She doesn’t seem to listen to a word I say & I’m getting locked into an unhappy battle. It’s often hard to apply what I read but examples you give on this website are so practical and helpful!!! I’m so glad, Tracy! Pour some love into that little girl of yours, and remember how you two can enjoy one another.